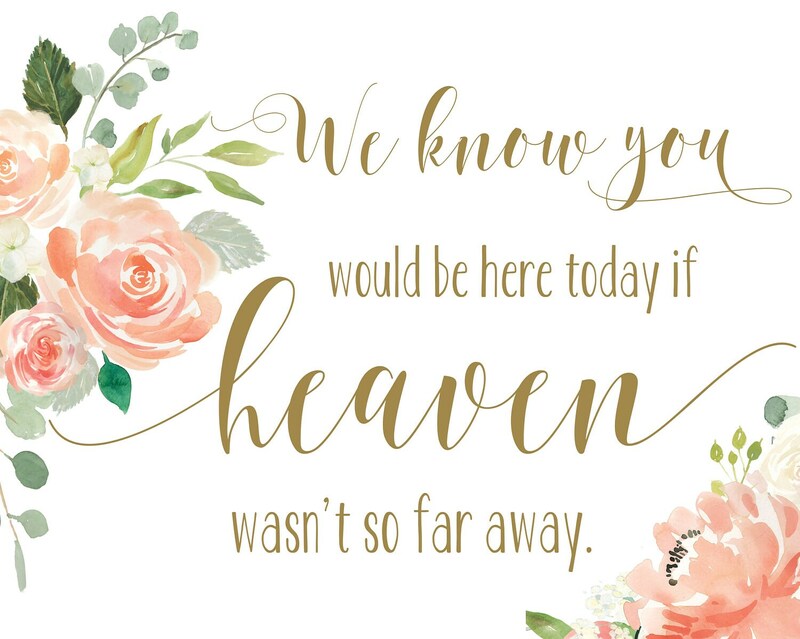 A wedding memorial sign is a thoughtful way to recognize those who can't share in your special day. 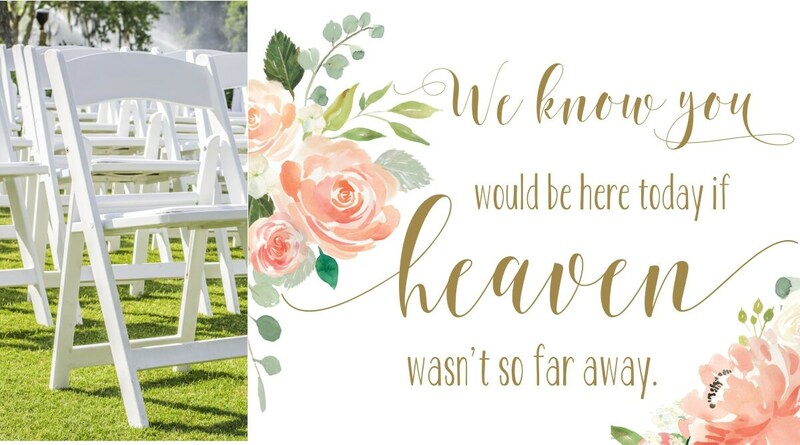 Frame the memory sign and set on a table or on an empty chair. 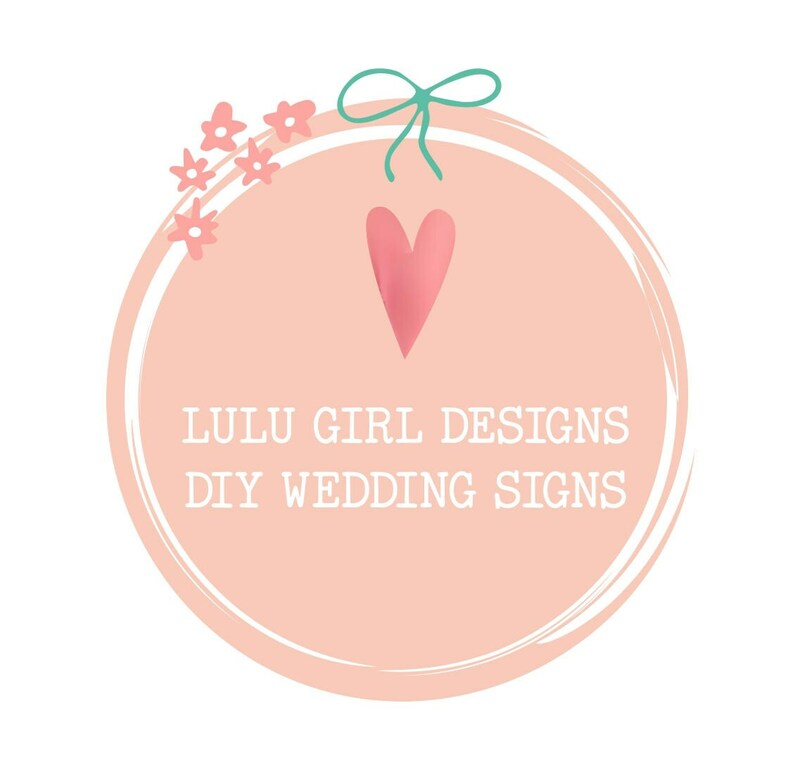 This sign is decorated with watercolor flowers to stand out yet match my other designs with gold or silver writing. This is an Instant DOWNLOAD file. No physical print will be mailed. Available for download will be an 8 x 10 JPG file with gold or silver writing. This can be printed at home, at a local office supply or uploaded to a photo lab. 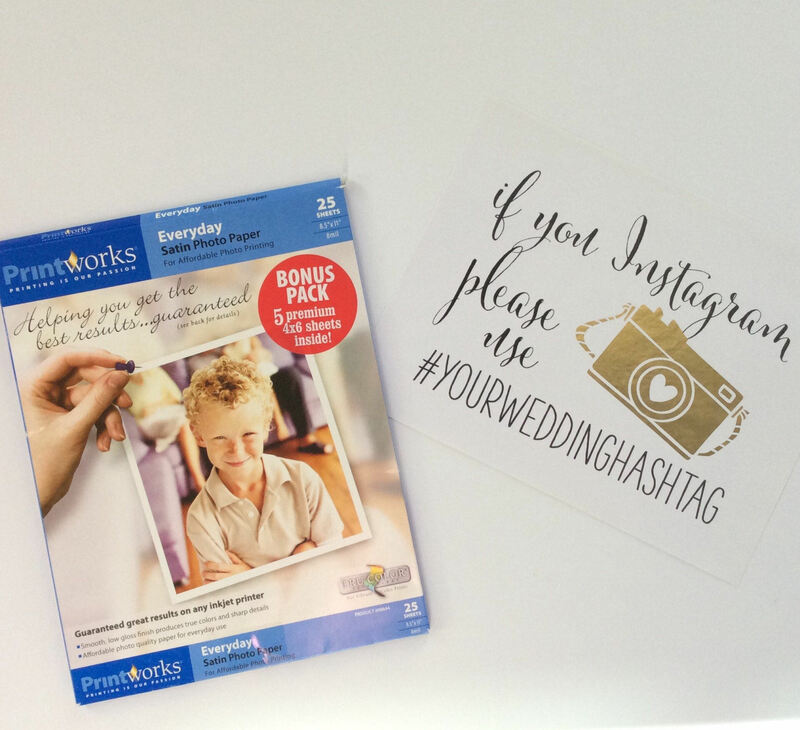 Specialty photo paper is not needed for this sign but is an option. If you need a PDF file, please let me know and I will be happy to email one.